Do You Own $1,000's In Collectible Children's Books? 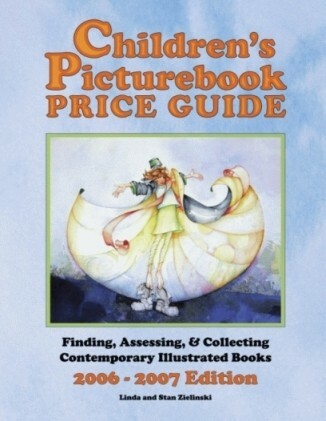 Welcome to the Children's Picturebook Price Guide website and blog! This website offers free information for the beginning and advanced collector of contemporary children's picturebooks. We provide a solid introduction to the hobby, children's book values, and first edition identification points for key picturebooks, including Dr. Seuss and Caldecott Medal books. We are the authors of the Children's Picturebook Price Guide, and have been passionate collectors of first edition children's books for over fifteen years. Our passion, and this website, concentrate on first edition picturebooks published from 1930 to present, including illustrators active today. See About Us for more than you want to know. The focus of the book and website is more on illustrators than authors, which might at first seem strange. This makes sense upon consideration, since the picturebook's initial favorable impression upon young readers is nearly always due to the form and quality of the illustrations. In many cases the distinction is superfluous, since the illustrator and author are often the same person. We consciously use the one word term as an homage to Barbara Bader, whose American Picturebook: From Noah's Ark To The Beast Within is considered the definitive treatment of the picturebook form. Bader's book provides information on the history of the contemporary picturebook, and detailed coverage of many of the great illustrators, from 1930-to-1970. The navigation categories are repeated at the bottom of the page. As you can see, each of the main categories have self explanatory sub-categories. The entry page for Identifying First Edition Books is just an introductory treatment. Lists the forty-four picturebooks (first edition books!) with market value over $1,000. Lists the value for each first edition Caldecott Medal book. The illustrator links to eBay search auctions for collectible books. The book's title links to its first edition points. Lists the value for first edition Dr. Seuss books. The book's title links to its first edition points. Lists the value for the first fifty Beginner Books. The values are for first edition books. The book's title links to its first edition points. Lists fifty completed eBay auctions for first edition children's picturebooks. Covers some of the actual auctions with final values over $200, from 1999 to 2006. Newbery Award Books, with illustrations. Lists the value for first edition Newbery Medal or Honor award books which have illustrations by one of the illustrators covered in the Children's Picturebook Price Guide. 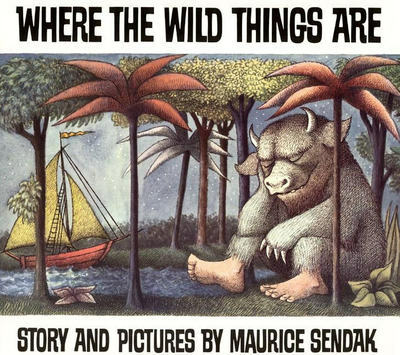 An introductory guide to identifying contemporary first edition books (post-1970 publication) from various children's book publishers. Index of links to first edition identification points (often called 'points of issue') for key children's picturebooks, including Dr. Seuss and Caldecott award books. On each of the web pages, the title of the book links to its first edition identification points. In many cases, the points will include photographs of the book's essential identifying points. Our intention is to post first edition points for Dr. Seuss, Caldecott award, and other key children's picturebooks at the rate of two to three per week. Identifies six key factors which affect first edition books' collectibility and value, in no particular order. Reviews of the Children's Picturebook Price Guide from those kind enough to provide their thoughts and time. Sincere thanks to all! 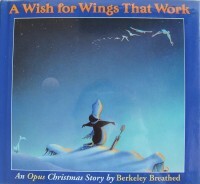 Lists the one hundred most prolific children's picturebook illustrators. A beginner's guide to book grading terminology. Many links to bookselling associations, children's booksellers, and other informative book collecting web sites and blogs. "Learn, learn, learn!" is the book collector's mantra. A web page providing more than you would like to know about Linda and Stan Zielinski. Blog with first edition idenfication points for key books, notes on book prices, and general topics related to collecting children's picturebooks. Blog posts on the state of the children's book hobby and other general book collecting related information. Blog posts on the most valuable first edition children's books, updated valuations, and other book valuation related information. Blog posts on first edition identification points (points of issue) for key children's books. 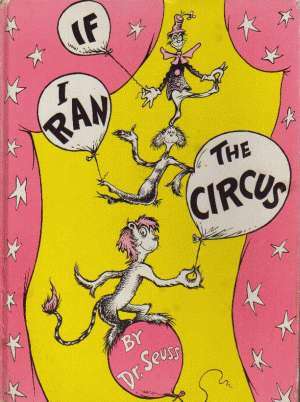 Blog posts on first edition identification points (points of issue) for Dr. Seuss books. Blog posts on first edition identification points (points of issue) for Caldecott Medal books. This work by Stan Zielinski is licensed under a Creative Commons Attribution-NonCommercial-ShareAlike 3.0 License.